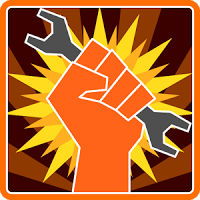 Home Tools GLTools 4.00 (GL Tools APK) gfx Optimizer Latest Version Free Download. GLTools 4.00 (GL Tools APK) gfx Optimizer Latest Version Free Download. GLTools also known as GL Tools APK is a yet another amazing Android Tool which lets you to Modify The Resolution and image quality of Android Apps, if you are familiar with Chainfire3D this app also does some similar functions like Chain Fire. GLTools is a custom Open-GLES (proxy) driver, compatible with any OpenGLES 2.0 compatible GPU + ARM or x86 Processor. GLTools Supports Following Android Operating Systems Gingerbread (2.3–2.3.7), Honeycomb (3.0–3.2.6), Ice Cream Sandwich (4.0–4.0.4), Jelly Bean(4.1–4.3.1), KitKat (4.4–4.4.4), Lollipop (5.0–5.0.2) ,Marshmallow (6.0 - 6.0.1), Nougat(7.0). Gl Tools is not tested on Android Oreo yet as the Operating System is currently in Beta Version. Measure gained performance with a nice onscreen FPS counter (or you can output FPS information to Logcat if you are a pro). Just Follow these simple steps and you can easily use Gl Tools Driver on your Android Phone. Download GL Tools Latest Version For Android From the above given download Link. Your Device Must be Rooted Before using Gl Tools if not then you can root your phone using any rooting Android App like, Kingroot 4.4.4 and TowelRoot V5. Once you Successfully Downloaded The App Install it on your Android Phone. Now Open Application Now You will See All of your Phones Apps Listed. If you face any problems using this app you can comment Below.